"The things we all aspire to, they did." 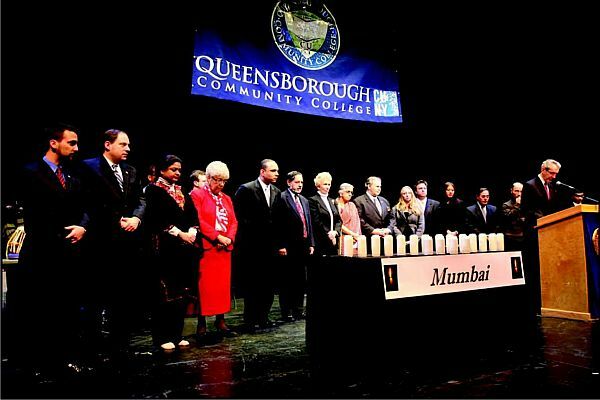 So said Ruthie Golan, friend of Rabbi Gavriel and Rivka Goldberg, Chabad-Lubavitch leaders in Mumbai, India at an evening of remembrance for them and the Indians killed by the Muslim terrorist attacks throughout the capital recently In a program sponsored by the Jewish Community Relations Council [JCRC], held at Queensborough Community College, Muslims, Hindus, Sikhs, Christians and Jews showed unanimous solidarity with Mumbai. A joint statement was signed "as a beacon of hope and as a voice of defiance to unbridled hatred." Janice Shorenstein, President of the JCRC said, "What happened in Mumbai cannot be seen as an attack against India - it is an attack against humanity. Our faith teaches us that being fearless, determined and focused allows us to move on." Congressman Anthony Weiner said that "countries around the world must understand that if there is terrorism going on within their borders, they must root it out and end it." Rabbi Yosef Blesofsky, director of the Chabad House of North East Queens explained the principles of his organization. He said that the founder, Rabbi Schneerson, envisioned a world of peace, of unity of a shared goal of goodness and kindness … a spiritual Peace Corps." 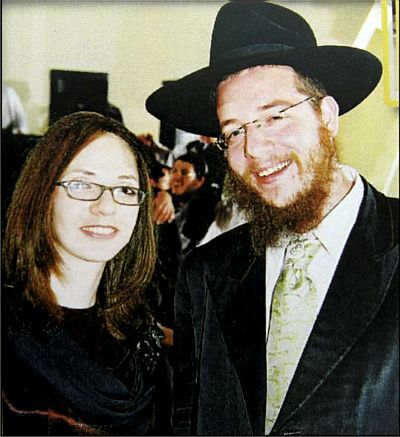 Rabbi Blesofsky said that there was hope for two days for the Holtzbergs and then the world learned that they were dead and their young child was an orphan crying out for his ima [mother]. Many called for retribution and revenge. "We are taught we must fight back. It is our holy duty to respond with overwhelming force … and good deeds are our best weapon," he concluded. Israel's Consul General in New York, Assaf Shariv, gave the audience a dose of the real world with his remarks. He said, "Unfortunately there are still people and the media living in denial, refusing to call perpetrators terrorists. They are not militants - they are terrorists. What would be the reaction if an Israeli went into a mosque killing a mufti? This is what occurred to our Chabad Rabbi." Imam Shamsi Ali, director of the Jamaica Muslim Center, mentioned that the pain he felt as he followed the events in Mumbai echoed those he felt when he addressed a jewish community on the anniversary of Kristalnacht. He also said that the majority of the victims of almost all of these attacks are Muslim and that the terrorists do not know God. They want to "instill fear and disunite us but they cannot be allowed to succeed." Romiel Daniel, President of the Indian Jewish Congregation and the REGO Park Jewish Center said that the terrorists who wanted to embarrass India and hurt its economy were cowards attacking the easiest targets. 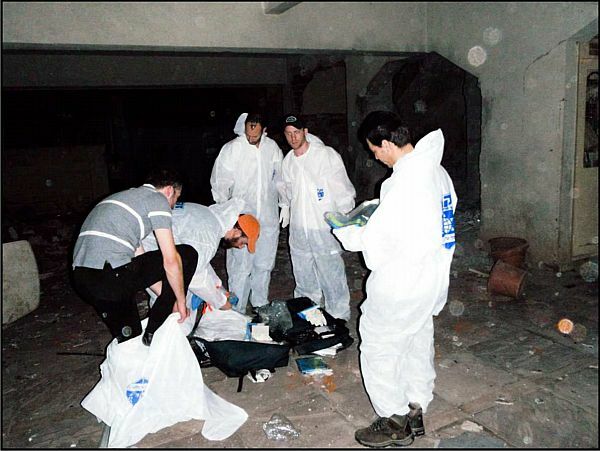 He said it was plain hatred and not by accident that the Chabad House was chosen and the people there killed. It was an attempt tjo create divisions between Indians and Jews. Mohammed Razvi, a Pakistani and the director of the Council of Peoples Organizations said that the terrorists claim to be Muslims but they are not human and have nothing to do with Islam. He said that we must somehow reach the children who are not born with hatred but who may be influenced by their parents or their mosques … and we must get to them now before the other groups do. The evening highlighted a broad base coalition acting with one voice against such senseless acts of terrorism and murder. This was also just one of many such memorial services taking place in New York and around the world.